I’ll let the cat out of the bag right away (pretend like you didn’t already guess). It’s a rake! 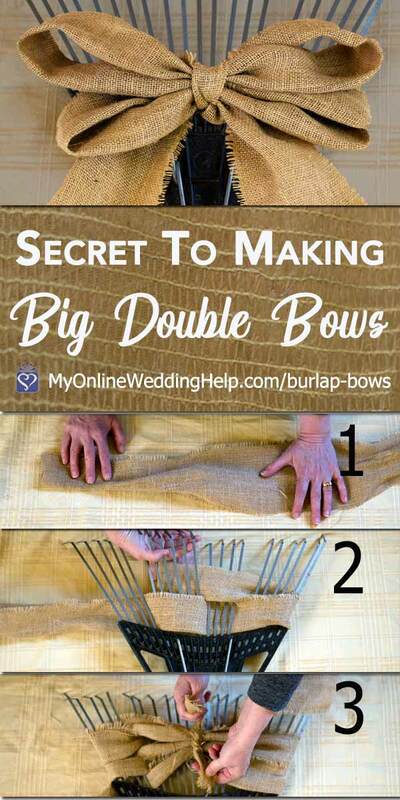 I first got inspired when seeing a pin on Pinterest on how to make a double bow with a fork. I thought, “if I can make small ones I should be able to make big ones, too!” And the not-yet-famous leaf rake burlap bow was born! The bows come out even and straight every time. AND you do not have to hold it together while making it. Read written directions below or scroll further down the page for a video (which you can also watch on YouTube). Cut about three yards of burlap or other material, four or five inches wide. Fold the end in half, so you get the beginning of a 2″-2.5″ wide strip of fabric. Burlap cutting tip: To keep from ending up with a frayed mess, first pull one strand out of your burlap fabric. You then have a convenient guide for cutting straight across, reducing fraying and mess. 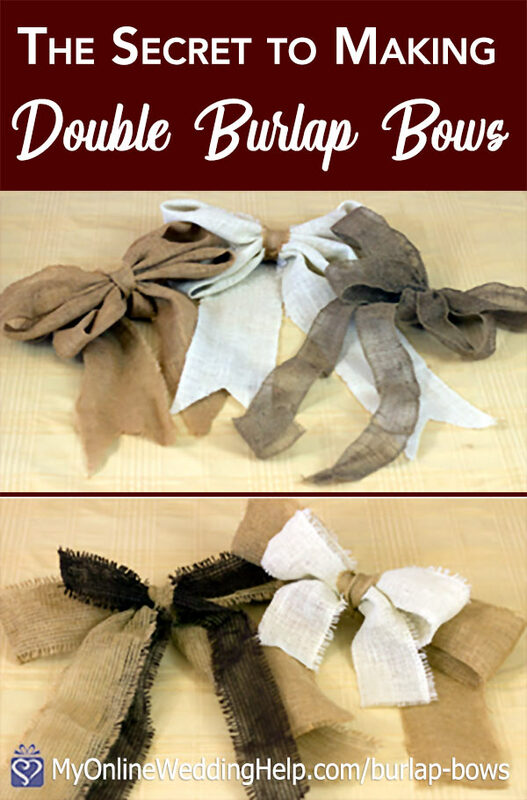 Avoiding-burlap-cutting tip: Use burlap ribbon instead. Imagine your leaf rake prongs in four sections…about 1/4 of the rake wide each, two on each side of the center. Weave back and forth for a total of five rows. The “tails” should be on opposite sides of the rake when you are done. 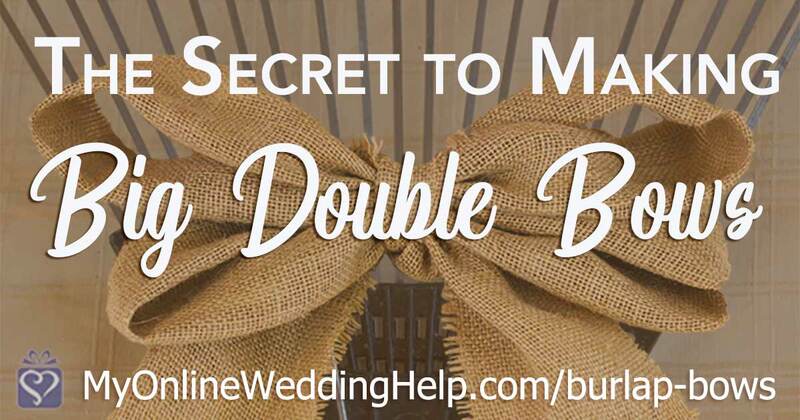 Tie the center together by threading a strip of burlap through the space between the two center prongs. Secure it vertically around all rows, pulling tightly to cinch the fabric. Construction of your bow is now complete, albeit still on the rake and face down. To remove the bow, gently bend the rake prongs. Then firmly slide each bow loop off the rake. One bow will be slightly smaller than the other. spread out (like on the top). Optionally, cut a triangle from each tail to make them look more decorative. I show you how to do that in the video.